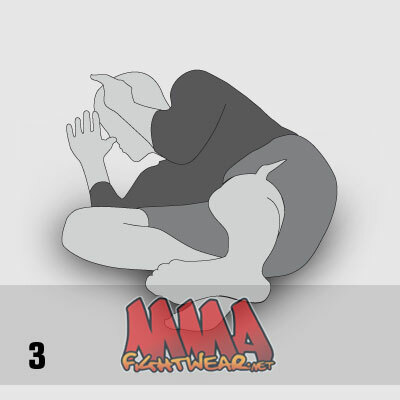 Brazilian Jiu Jitsu techniques play a big part in the ground phase of MMA, many of which are used defensively to free yourself up from holds. One of the most commonly used techniques is the Hip Escape. As with the Top Mount position practice drill in our previous blog post, it is possible to practice the Hip Escape without a training partner. 1 / 2 – Start by lying on your back, then bring your right leg in and bend at the knee so that your right foot is firmly flat on the ground. Lifting it just a few inches off the floor, fully straighten out your leg. ai???Ai? ?Cup both hands and bring them up towards your temples and raise your shoulders up from the ground. 3 – Turn your entire body to the right, keeping your arms and legs in the same position as outlined above. 4 – Just before your right elbow touches the floor, push out with both hands, extending both your arms and legs out straight. 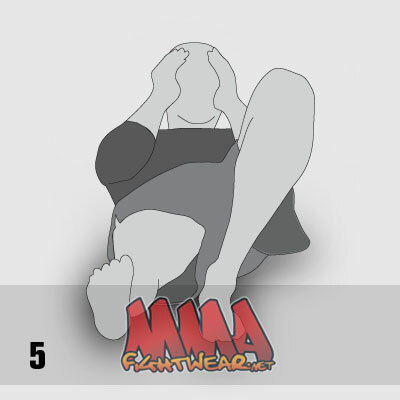 5 – Turn your body back to the left until you are on your back once again and assume your starting position with your hands cupped up towards your temples. However this time, bring your left leg in and bend at the knee so that your foot is firmly on the ground. This time your right leg will be fully straightened out and slightly raised off the ground. 6(A) & (B)Ai? ?- Turning your body to the left, you will want to mirror the same manoeuvre as outlined above, and then bring yourself back in to the starting position on your back. This will complete on full repetition of this technique. As any practitioner will know, Brazilian Jiu Jitsu is a highly technical discipline and requires appropriate apparel to be worn if you are to compete at certain levels and competitions. Competition and specific gym requirements can standardise the appearance and technical aspects of a Jiu Jitsu Gi, although not all tournaments and clubs impose such strict rules. You may be involved as a No Gi Jiu Jitsu practitioner, and therefore we recommend that you take a look at our previous blog that highlights the benefits of investing in a good quality Rashguard. You might also want to check out the Jiu JitsuAi? ?discipline section of our website for all of your other Jiu Jitstu apparel and equipment needs. 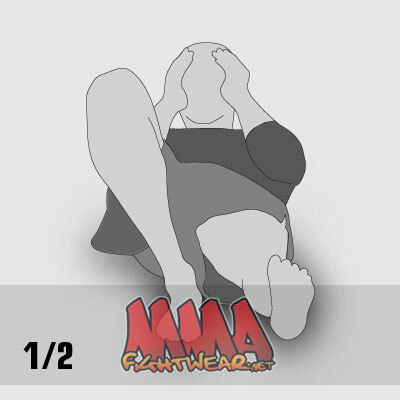 This entry was posted in Training Exercises on 19.02.2014 by MMAFightwear. 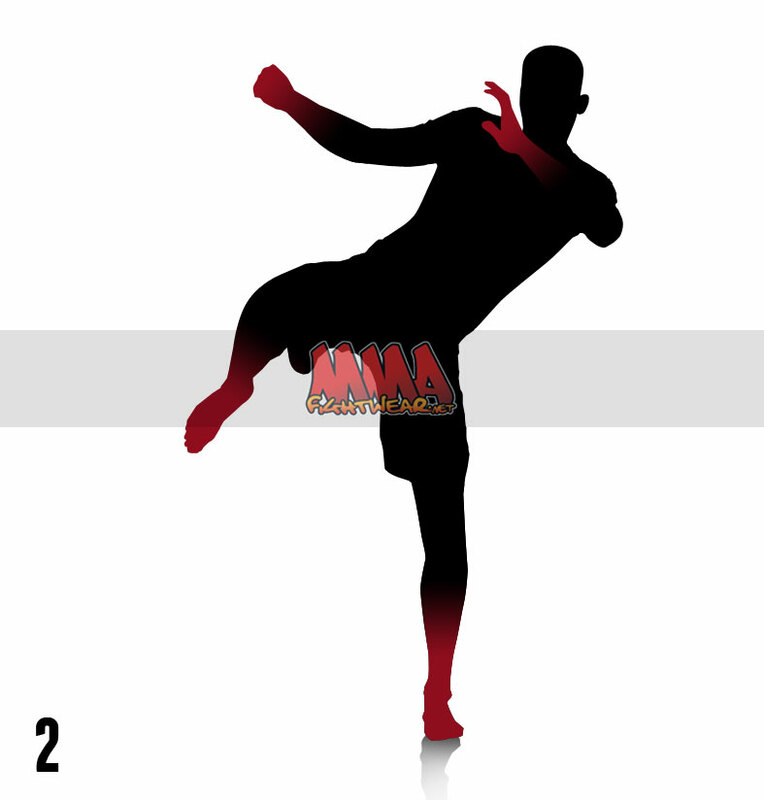 Whatever your level of expertise, having an effective Roundhouse kick in your locker as an MMA fighter is an essential tool that you should have at your disposal. Practising this technique correctly can also form a great part of a cardio vascular exercise session too. Often referred to as the Orthodox Roundhouse, the basis of practising this technique begins with starting in an Orthodox StanceAi? ?and places great emphasis on maintaining your balance throughout the motion. To successfully execute this kick you are ultimately aiming to strike the side of the punch bag, pad or opponent with the top of your foot. 1Ai? ?- Assume an orthodox stance with your left food leading, with hands raised to form your guard. 2Ai? ?- Raise your right knee quickly to waist level and begin to turn your body using your left foot as the pivot for the motion. 3Ai? 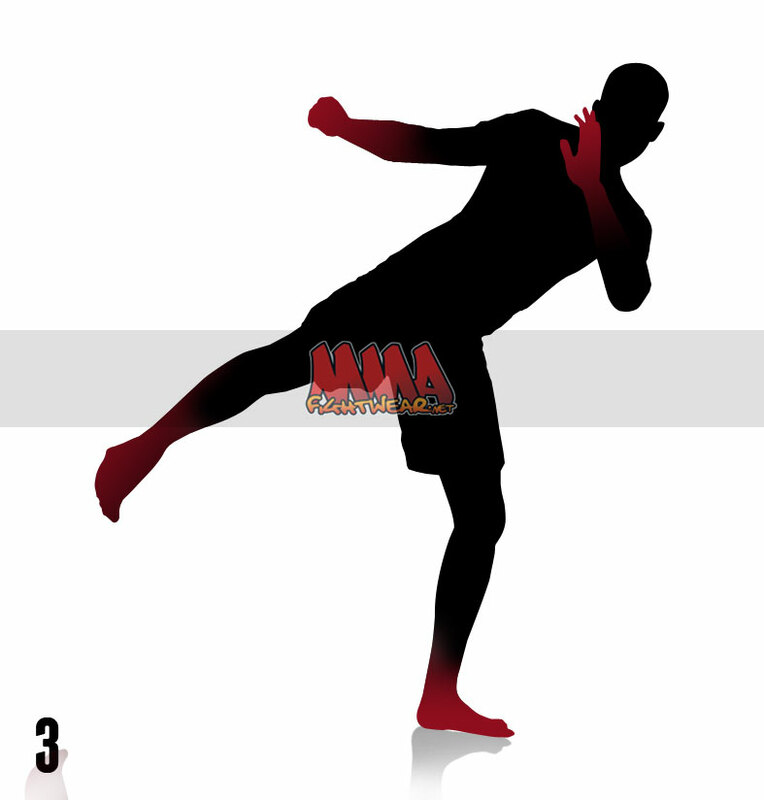 ?- With your body rotating to around 180 degrees, extend your right leg to deliver the strike. Swiftly recoil and smoothly swivel back to your original orthodox stance starting position. As mentioned above, practising this technique can easily be integrated in to a Heavy Bag or Kick Pad workout or even when sparring with a partner. Once you have got your technique mastered, you will be able to practice with greater intensity and increase the number of repetitions. You will also want to practice alternating stances to deliver the strikes using your left leg from a southpaw stance. 4Ai? ?- From the orthodox stance, jump up and make the switch so that your right leg is now the leading leg. 5Ai? 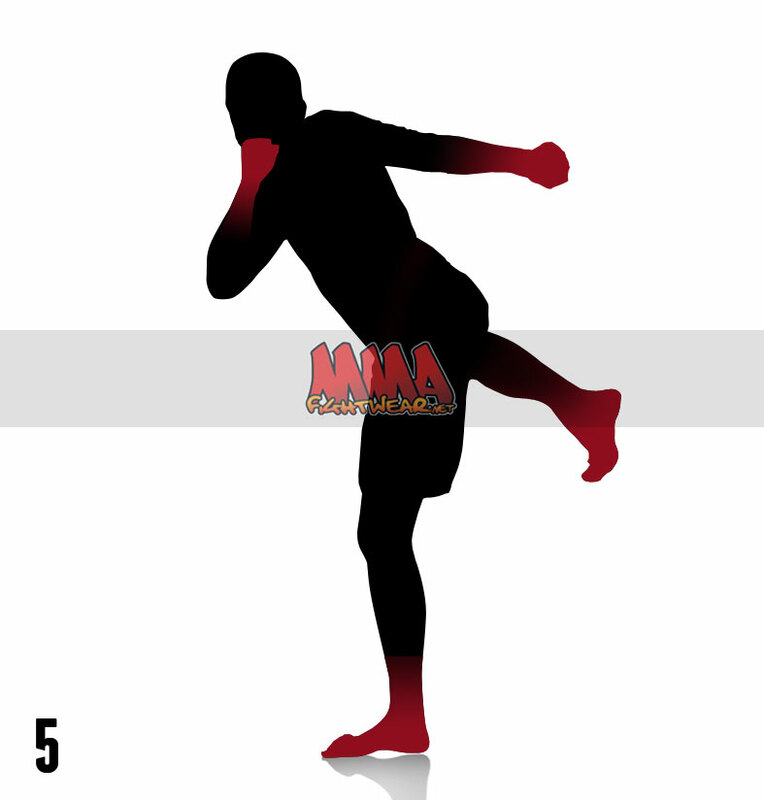 ?- With your right foot forward and your hands raised to form your guard, bring your left knee up so it is in line with your waist and proceed to use the same technique as described above for the right leg kick. To obtain greater accuracy and unleash greater power during kicking striking drills, you may want to consider using Curved Thai Pads to give a smaller, yet denser target area. Also, depending on the kind of training or discipline that you are working on, you will need to consider protection for yourself as well as your sparring partner. Investing in a pair of Grappling Shin Guards or Thai Shin Guards will give you greater piece of mind when it comes to injury prevention and will allow you to focus on improving your performance and not worry about taking any unwanted knocks. As well as having the necessary hardware, your apparel is equally important, if achieving maximum performance is your goal. Wearing the right shorts, such as MMA Shorts, can make a big difference to your kicking ability and manoeuvrability during training or competition. With features such as side splits and reinforced four way stretch crotch panels, MMA Shorts can enable a greater freedom of motion to reduce restriction of your movements as much as possible. 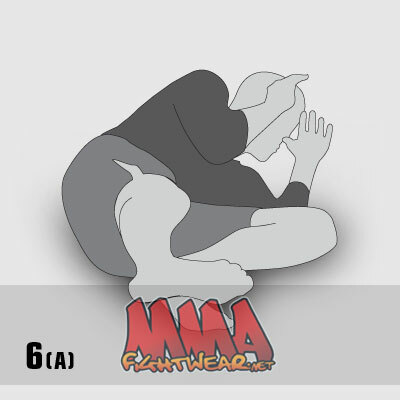 This entry was posted in Training Exercises on 10.02.2014 by MMAFightwear. Whether you are an MMA beginner or just looking to add something new to your exercise regime, this basic drill can provide an excellent cardio vascular workout. For this particular exercise it is important that you are familiar with the correct orthodox fighting stance for MMA, as this will provide a basis for this and many other types of MMA training and striking drills. 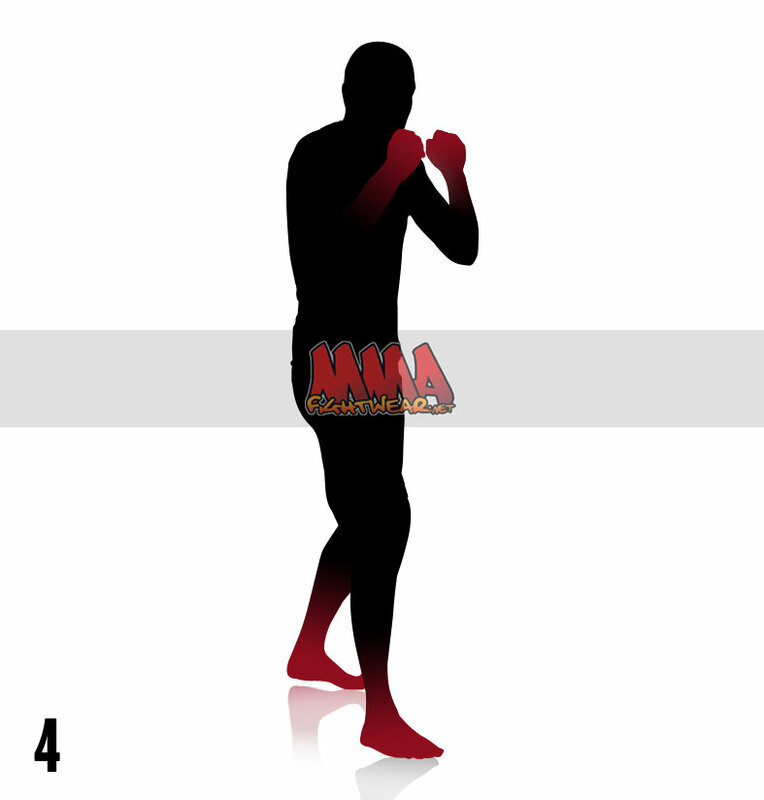 Specifically for this combination, you will also need to know how deliver a Left Jab and Right Cross punches too. This combo drill can be practiced either by hitting a heavy bag or by “shadow boxing” or included in to your one on one sparring sessions. Once you have mastered the basic orthodox stance (A) and technique for both your Jab and Cross punches, you can really start to rev up the gears and execute the steps described below at a faster pace. 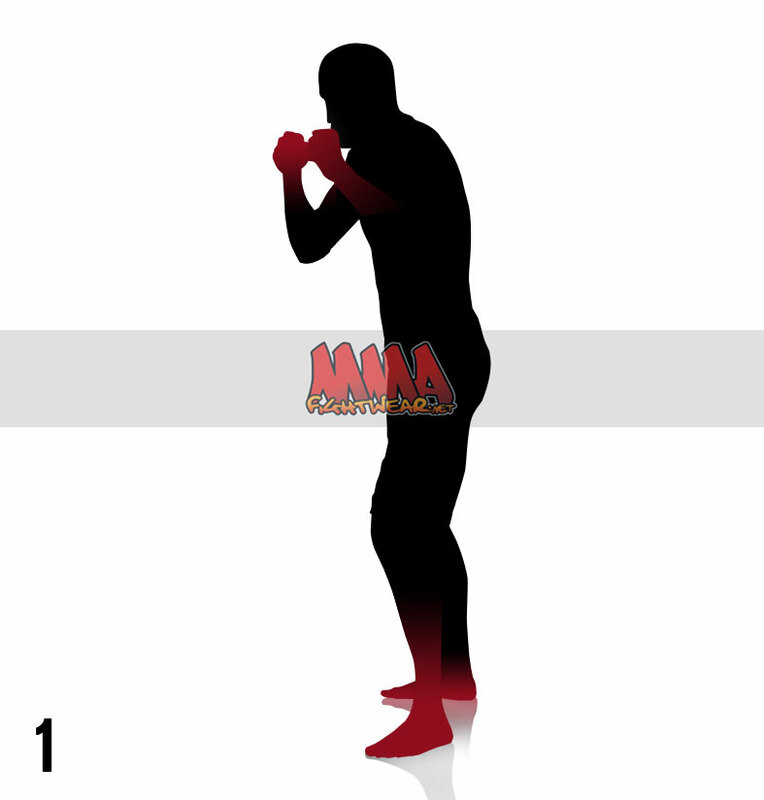 To assume the stance shown in image (A), have your left foot forward in the “12 o’clock” position with your right foot facing out in the “3 o’clock” position. Closing your hands in to fists, bring them up as shown in the image to form your guard, with your left hand slightly further in front. If you are a left handed, you will need to assume a southpaw stance, for which you’ll need to reverse the positioning of the leading foot and hand as described for the orthodox stance. 2 –Ai? ?Throw a straight left jab. As you extend your arm you should be rotating your wrist at the same time. 3 –Ai? ?Bringing the left jab back in, you should turn your body to enable you to move straight in to the right cross punch. Your left hand should be brought up to your left cheek to protect your face as the cross is delivered. 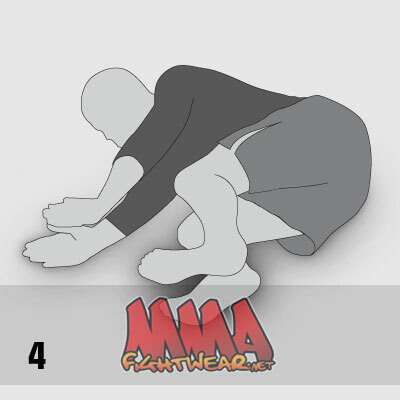 4 – Withdrawing the cross should see you returning back to your starting position in the orthodox stance. Repeat this basic drill non-stop for 30 seconds at a time. Depending on your skill level and reasons for training you can carry out this drill by practising this combination on a Heavy Bag. Heavy Bag training will help to improve your power and also give your muscles more of workout. Working on this with a sparring partner can also add an extra dimension to the workout. Have your sparring partner wear some good quality Focus Pads to further improve your striking power and accuracy. For any type of Bag, Pad or Sparring training it is also important that you are wearing the right Gloves for the job too. On the Heavy Bag, you will need to look at Boxing Glove at the lighter end of the weight scale, typically 10oz Gloves are most commonly used. For sparring with a partner, 14oz to 16oz Gloves are recommended to provide the extra protection for both you and your training partner. If you are incorporating this drill in to an all round MMA sparring session then you may want to look at 7oz MMA Hybrid Sparring Gloves, to give your hands some extra padded protection, yet at the same time leaving your hands free enough to engage fully on practising your ground game. 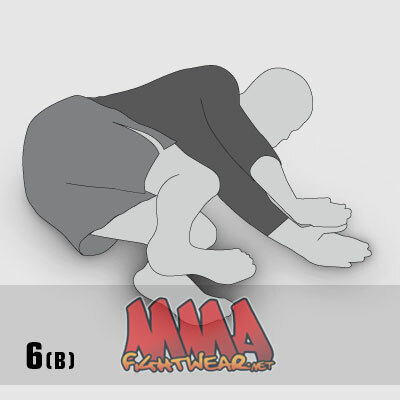 This entry was posted in Training Exercises on 5.02.2014 by MMAFightwear.